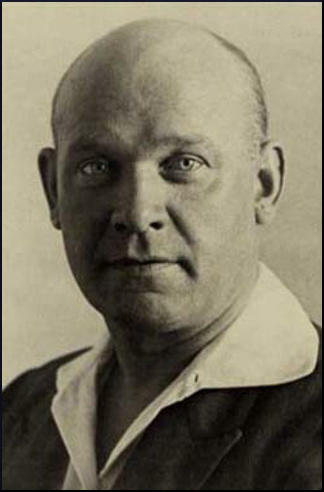 Ernst Thälmann was born in Hamburg, Germany, on 16th April, 1886. His friend, Wilhelm Pieck, later recalled: "As the son of a class-conscious worker organised in the Social-Democratic Party, Ernst Thälmann came into the Socialist movement in his early youth. He was hardly sixteen years old when he joined the Social-Democratic Party. The indigent circumstances of a proletarian family drove him very early into the drudgery of capitalist exploitation. These circumstances prevented him from following the well-meant advice of his teachers that this talented working-class boy should continue his education." A member of the Transport Workers Union he joined the Social Democrat Party in 1903. Rose Levine-Meyer knew him during this period: "Ernest Thalmann was a devoted revolutionary, a good orator with a fine instinct for the worker's temper, he was an excellent medium for expounding theories and ideas laid down by others. He was a poor thinker, and not given to abstract study, even lacking enough self-discipline to reach the cultural and theoretical level of an average Party member." The chairman of the SDP, August Bebel, died following a heart attack on 13th August, 1913. Friedrich Ebert now replaced him as leader of the party. Like most socialists in Germany, Ebert was initially opposed to the idea of Germany going to war. However, once the First World War had started, he ordered the SDP members in the Reichstag to support the war effort. Thälmann disagreed with the policies of Friedrich Ebert but he was recruited into the German Army in 1915 and during the First World War fought on the Western Front. 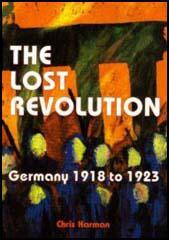 He deserted in 1918 and when he arrived back in Germany he joined the Independent Socialist Party (ISP). Other members included Kurt Eisner, Karl Kautsky, Julius Leber, Rudolf Breitscheild and Rudolf Hilferding. 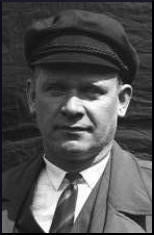 Ernst Thälmann was active in the German Revolution in Hamburg that began on 29th October 1918. Thälmann was on the left-wing of the ISP and was a leading figure in the merger with the German Communist Party (KPD) in November 1920. The following month he was elected to the Central Committee of the KPD. Paul Levi was the leader of the KPD. Other prominent members included Willie Munzenberg, Ernst Toller, Walther Ulbricht, Hermann Duncker, Hugo Eberlein, Paul Frölich, Wilhelm Pieck, Ernest Meyer, Franz Mehring and Clara Zetkin. Levi's moderate approach to communism increased the size of the party. Ernst Thalmann was elected to the Reichstag. In the summer of 1921 Thälmann went as a representative of the German Communist Party to the 3rd Congress of the Comintern in Moscow and met Lenin. In June 1922 Thälmann survived an assassination attempt at his flat. Over the next few years he established himself as one of the most important figures in the German Communist Party. Paul Levi remained a supporter of the theories of Rosa Luxemburg and this brought him into conflict with Lenin and Leon Trotsky. They were especially upset with the publication of Our Path: Against Putschism. In 1921 Levi resigned as chairman of the KPD over policy differences. Later that year, Lenin and Trotsky, demanded that he should be expelled from the party. Ernest Meyer now became the leader of the German Communist Party. Meyer returned to Moscow in 1922 as a member of the German delegation to the 4th World Congress of the Comintern. However, his influence went into decline with the emergence of Thälmann, who replaced Meyer as the Chairman of the KPD in 1925. Ernst Thälmann was the candidate for the German Presidency in 1925. This split the centre-left vote and ensured that the conservative Paul von Hindenburg won the election. Thälmann, a loyal supporter of Joseph Stalin, willingly put the KPD under the control of the Communist Party of the Soviet Union. In 1928 John Wittorf, an official of the German Communist Party (KPD), and a close friend and protégé of Ernst Thälmann, was discovered to be stealing money from the KPD. Thälmann tried to cover up the embezzlement. When this was discovered by Gerhart Eisler Hugo Eberlein and Arthur Ewert, they arranged for Thälmann to be removed from the leadership. Stalin intervened and had Thälmann reinstated, signaling the removal of people like Eisler and Eberlein and completing the Stalinization of the KPD. Rose Levine-Meyer commented: "To make him the indisputable leader of the German Communism was to behead the movement and at the same time transform a highly attractive, able personality into a mere puppet." It now became the policy of the KPD to describe members of Social Democratic Party (SDP) as "social fascists" and made it difficult to work together against the emergence of Adolf Hitler. Thälmann was the party's presidential candidate in 1932. He won 13.2 of the vote compared to the 30.1 received by Adolf Hitler. In January 1933, Thälmann proposed that the German Communist Party (KPD) and the Social Democratic Party (SDP) should organise a general strike in order to remove Hitler. When these negotiations broke down, Thälmann called for the violent overthrow of Hitler's government. After the Reichstag Fire on 27th February, 1933, the Nazi Party launched a wave of violence against members of the German Communist Party and other left-wing opponents of the regime. This included Thälmann who was arrested and imprisoned on 3rd March 1933. He managed smuggled out details of his treatment: "They ordered me to take off my pants and then two men grabbed me by the back of the neck and placed me across a footstool. A uniformed Gestapo officer with a whip of hippopotamus hide in his hand then beat my buttocks with measured strokes, Driven wild with pain I repeatedly screamed at the top of my voice. Then they held my mouth shut for a while and hit me in the face, and with a whip across chest and back. I then collapsed, rolled on the floor, always keeping face down and no longer replied to any of their questions." Wilhelm Pieck had managed to escape to the Soviet Union. In July 1936 he issued a statement calling for the release of Thälmann: "If we succeeded in raising a tremendous storm of protest throughout the world, it will be possible to break down the prison walls and as in the case of Dimitrov, deliver Thaelmann from the clutches of the Fascist hangmen. The fact that Ernst Thaelmann has got to spend his fiftieth birthday in the gaols of Hitler-Fascism is an urgent reminder to all the anti-Fascists of the whole world that they must intensify to the utmost their campaign for the release of Thaelmann and the many thousands of imprisoned victims of the White Terror." Ernst Thälmann spent over eleven years in solitary confinement. He was executed in Buchenwald Concentration Camp on 18th August 1944. A few days later the Nazi government announced that Thälmann and Rudolf Breitscheid had been killed in an Allied bombing attack. Ernest Thalmann was a devoted revolutionary, a good orator with a fine instinct for the worker's temper, he was an excellent medium for expounding theories and ideas laid down by others. He was a poor thinker, and not given to abstract study, even lacking enough self-discipline to reach the cultural and theoretical level of an average Party member. He had cut a very handsome figure as the proletarian showpiece in Ruth Fischer's Central Committee. But to make him the indisputable leader of the German Communism was to behead the movement and at the same time transform a highly attractive, able personality into a mere puppet. There were sometimes in our own ranks comrades who thought themselves cleverer and more capable of judging various questions than was done in the definite decisions of our World Party. Here I stress with the greatest emphasis: our relations with the Comintern, this close, indestructible, firm confidence between the C.P.G. and the C.I. and its Exectitive - this is one of our Party, the inner-political struggles and disputes in the past and of the higher political maturity of our Party generally. (3) Ernest Thalmann was arrested by the Gestapo on 3rd March 1933. He was later able to smuggle out details of his interrogation. It began initially with that friendly "good guy" approach as I had known some of these fellows when they were still members of Severing's Political Police (during the Weimar Republic). Thus, they reasoned with me, etc., in order to learn, during that playfully conducted talk, something about this or that comrade and other matters that interested them. But the approach proved unsuccessful. Was then brutally assaulted and in the process had four teeth knocked out of my jaw. This proved unsuccessful too. By way of a third act they tried hypnosis which was likewise totally ineffective. For more than three years Thaelmann has been lying in a Fascist gaol. During all this time it has only been possible once - through the workers’ delegation from the Saar - for the proletariat to establish personal contact with Thaelmann. The Fascists allow the visit on that occasion in order to confuse the workers of the Saar, because they thought that the long period of terrorism in prison would have cowed Thaelmann and that he would not dare to speak openly to the workers. But Ernst Thaelmann bade farewell to the workers in these words: “I have been and I am being tortured! Greet the workers of the Saar from me as I would greet them!” With that he showed that the brutalities of Fascist imprisonment could not break his revolutionary fortitude.